Students at the Academy of Hair Design in Springfield, Mo. have taken on a unique challenge to give back to the human family by helping build up future cosmetology professionals halfway around the globe. The Academy of Hair Design has partnered with Africa New Life to establish a sister school of cosmetology in Rwanda, Africa. After the 1994 Rwandan Genocide that cost the lives of some 800,000 people in the African nation, beauty salons were among the earliest to recover from the tragedy and begin to get the country back on its feet. However, the country still needs adequate training for cosmetologists and barbers. The unemployment rate in Rwanda is nearly 40%, and the Academy of Hair Design is doing their part to help build jobs with lasting benefits to families and children for generations to come. Owners David and Christie Gonzalez are no strangers to altruism through the Academy of Hair Design. They have also participated in numerous local fundraisers, as well as contributed to Susan G. Komen for the Cure, Young Life, Boys and Girls Town and their local school district. The Spring 2011 session began with a series of “Project Africa” planning meetings and fundraisers, and they even had a visit from Charles Mugisha Buregeya, the founder of Africa New Life. All proceeds from salon services at the Academy will be donated to Africa New Life. 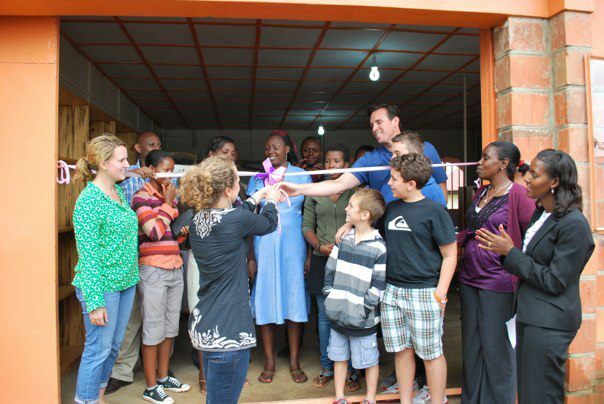 In November, the “Dream Academy of Hair Design” in Rwanda opened. The school has hit many milestones along the way, such as securing the building, finding the necessary products and finding the right instructors for the program. Five students started classes in November, and 10 more will start in December. The students’ tuition is subsidized by donors, and to date, all 15 students have been sponsored – another enormous milestone for the Academies. “Seeing the school open and Skyping and meeting the new students was truly the highlight for our Academy students and staff,” Daugherty said. Last updated by admin at December 7, 2012 . This entry was posted on Friday, December 7th, 2012 at 11:00 am	and is filed under Beauty School News. You can follow any responses to this entry through the RSS 2.0 feed. You can leave a response, or trackback from your own site.